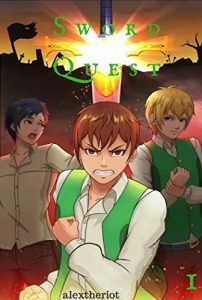 Free Fantasy, Action & Adventure Manga Novel! *Sword Quest of the Enigmatic Souls: Takanova (ePub Version Direct Downloads) by Alextheriot. Price is: Free in Return for a Review. Genres are: Fantasy Light Novel of the Day, Sponsor. Please Note: Author has made this book free in return for a honest review. Please leave the Review on Amazon Kindle Page here, after reading it. Bookmark it if possible. Thank you. Previous Previous post: Get a Free Paranormal & Urban Fantasy Book in Return for a Honest Review! Next Next post: Get a Free Christian Supernatural Fantasy Book in Return for a Review!